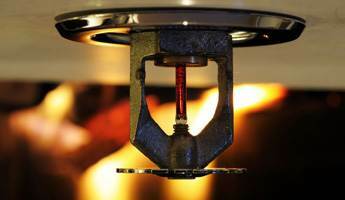 Residential & Commercial Fire Sprinkler Systems | Morristown Automatic Sprinkler Co. Whether it’s residential fire sprinklers or complex commercial installations, Morristown has got you covered. Fire sprinkler systems are essential for business and homeowners looking to protect their investment, as they can prevent a horrific ordeal from occurring. In regards to wet systems, a professional residential or commercial fire sprinkler installation will control or extinguish fires, and more importantly, they could help save lives and limit property damage. Morristown Sprinkler has designed, installed and retrofitted countless fire sprinkler systems for commercial and residential clients in Knoxville, TN and the surrounding areas. With nearly 40 years of industry experience, Morristown Sprinkler has the expertise and tools needed to handle jobs of any size; we will outfit your building or home with a reliable fire sprinkler system that suits the structure of your building. We make a concerted effort to stay up to date on recent industry codes and procedures, as well as what the most recent technologies are in our field, ensuring our clients always have the most modern and innovative systems. Please contact us if you would like a quote, or if you have any questions regarding fire sprinkler systems.